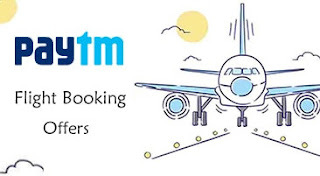 Now get Rs-555 cashback on booking flight tickets via paytm. If you are planning to book any flight tickets then it is a golden chance. There is no minimum purchase limit. You can avail this offer to any flight tickets. How to get flat Rs 555 cashback on flights ? 7. Apply coupon code – FLYDAY and make the payment ! Your ticket will be booked and you will soon receive Rs 555 cashback in your PayTM wallet. Flat Rs.555 Cashback on flight bookings. Offer valid three per user.